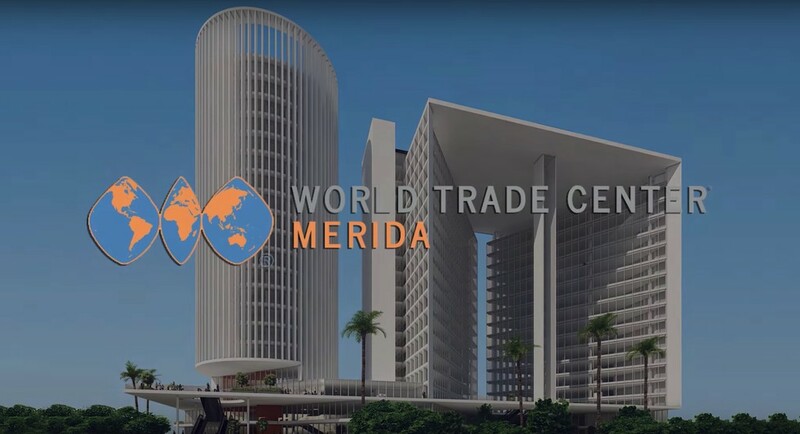 Speculation becomes reality with the planned construction of a World Trade Center in Merida, according to an exclusive note published by ForoMerida.com, a discussion group that brings together the latest news in urban planning, construction, trade, tourism and sustainability of Merida. After half a decade of speculation and ads, both public and private, that included at least two different projects (World Business Center “Méridas the World” and a previous failed “Merida WTC”, as well as the International Convention Center Merida (CICM) whose masterplan is not yet unveiled), finally a new age of modernity and economic development has come to our city, as the international organization World Trade Centers Association (WTCA) has been working in recent months in the city with different developers and local authorities for the establishment of an international trade center called World Trade Center Merida. According to the project developers, this stunning facility will redefine what a financial and mixed-use center for the southeast means — and will put Merida alongside with Guadalajara, Monterrey, Mexico City and Puebla. 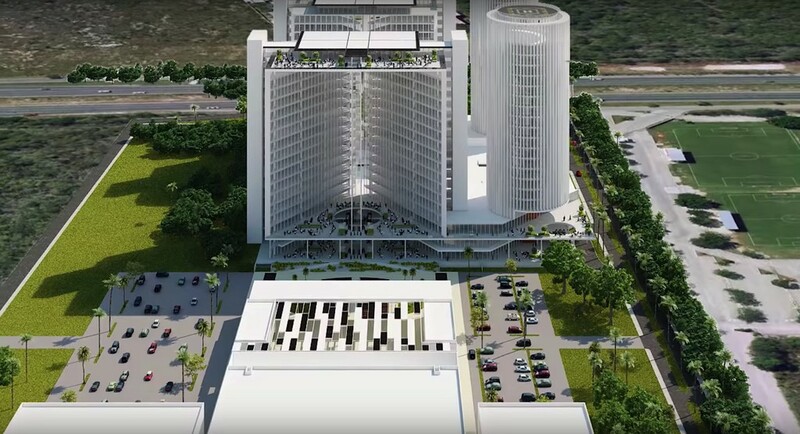 It is already confirmed for construction and includes luxuriant skyscrapers, an exclusive hotel of the Westin brand, condominium units, offices, a shopping center, meeting rooms and congresses in the area north of the city next to the City Center Mall in San Angelo, near Periferico Norte. In total, the WTC Merida will comprise three areas connected by a future roadway. For privacy reasons, the developers only mentioned that they would be associates in it, but it was a complex that would involve numerous partners in Yucatan, some with projects under construction in Merida. An investigation was conducted, which found that in April 2016, the World Trade Centers Association had added a new element to their system, as they congratulated Merida as a new member of the WTCA (along with Aruba) stating that “cities that had submitted a comprehensive plan for the development of iconic World trade Center facilities with the service component of international trade.” A few weeks later, the team of Foro Merida met with the promoters of WTC Merida, who confirmed their participation in the development and promised a public presentation very soon. Between 19 and 25 floors in height, the towers that will rise in Merida will display an architectural design of first class which and would place the city at the same level of Mexican business centers such as Reforma, Santa Fe (CDMX), Puerta de Hierro (Guadalajara) and San Pedro Garza Garcia (Monterrey), among other places in the country. It should be noted that it is the first incurson of the Westin chain in Merida, but not the first Starwood (parent brand), which aborted a major investment in the city with the failure of Hotel Aloft on Av. Garcia Lavin and already has two boutique hotels in luxurious Haciendas.